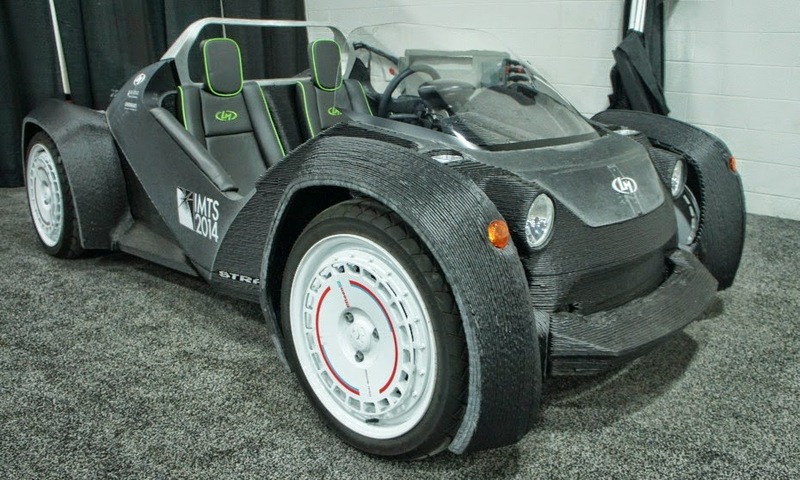 Is 3D printing the future of automobile manufacturing? Thread: Is 3D printing the future of automobile manufacturing? MONA TILES COMPOUND, NR. CHHANI CIRCLE, CHHANI ROAD, VADODARA - 390002. GUJARAT, INDIA. Since the beginning, the automotive sector has been taking advantage of 3D printing for manufacturing and design applications. With a quick turn around rate, companies are able to produce concept models, functional prototypes, and manufacturing aids in a short amount of time. With this technology at hand, today’s technologies have drastically improved from the idea of a prototype to the full production of 3D printed vehicles like the Local Motors Strati concept car. Automotive industries are seeing the positive effects of using additive manufacturing. Paul Susalla, the section supervisor of Rapid Manufacturing at Ford stated, “You can come up with a really optimized part at the end of the day...That’s all because of the speed with which we can produce the prototype parts without tooling.” Not only are 3D printed prototypes great for a fast turnaround, but statistics are being proven with numbers. As stronger and more durable materials such as nylon, ultem, and carbon fiber become more readily available, automotive manufacturers have more options for utilizing 3D printing for applications that have restrictions of heat or wear concerns. Bringing 3D printing into the automotive manufacturing landscape is soon becoming a necessity for keeping up with the competition rather than a complementary technology, especially in the production of cars. Major 3D printing companies such as Stratasys, GE, and 3D Systems are only continuing to improve their technology, and the cost for implementing it into everyday workflow will continue to come down. Conversely, with the advancements in technology and build speeds, the users of 3D printing will see parts that are of high quality in the materials needed to keep automotive production driving forward. « Some of my 3D printed auto parts. At what stage of jewelry manufacturing is 3D printing used?